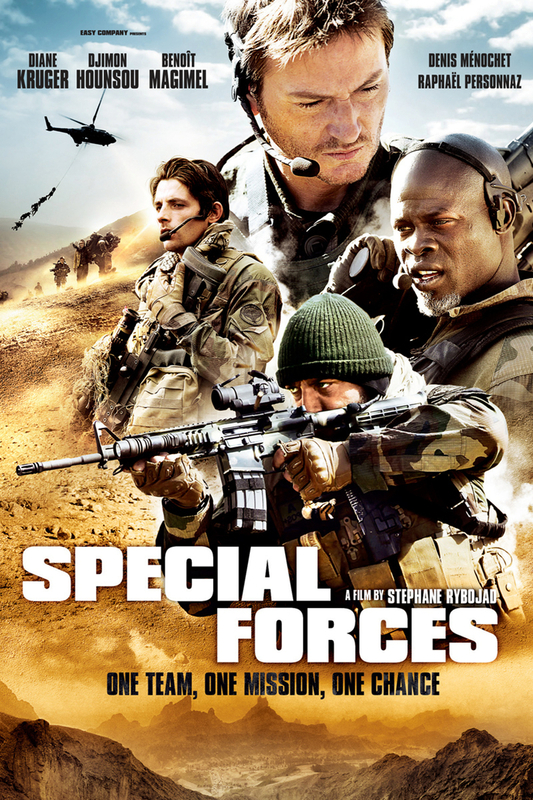 Special Forces DVD and Blu-ray release date was set for February 19, 2013. Elsa Casanova, a famous journalist, has written an unflattering article about a brutal Afghan warlord named Zaief. Enraged, Zaief kidnaps Elsa and some of her friends. That prompts the French government to send in a team of commandos to rescue them. While they succeed in freeing the hostages, the team's radio is damaged. With no way to contact their base, the commandos and Elsa must cross the hostile terrain of the Khyber Pass, all the while battling Zaief's men, in order to survive.